Approx 5 inches long (internal). 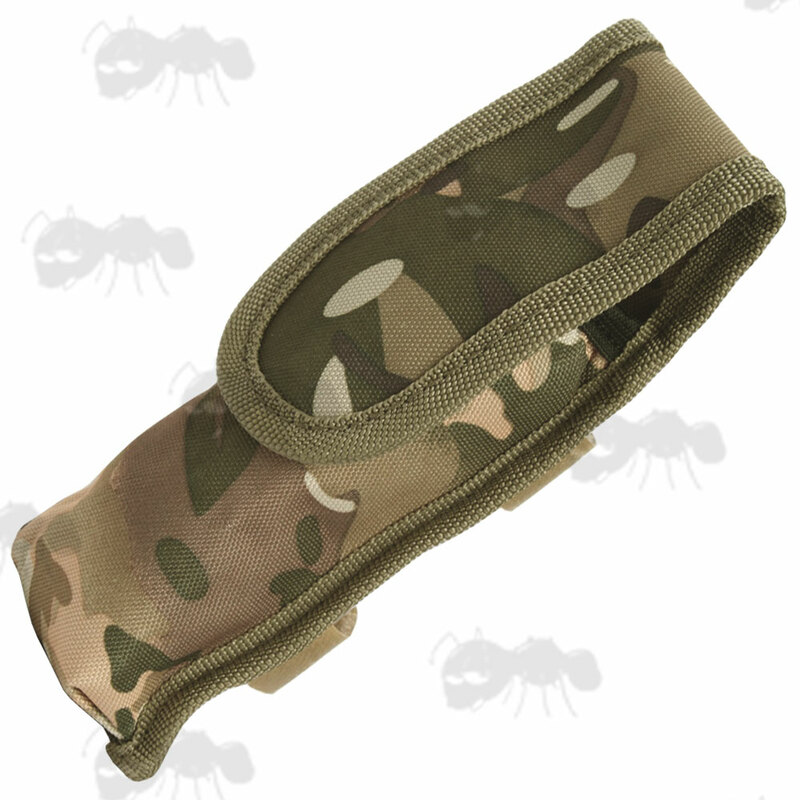 Durable nylon construction with velcro straps. 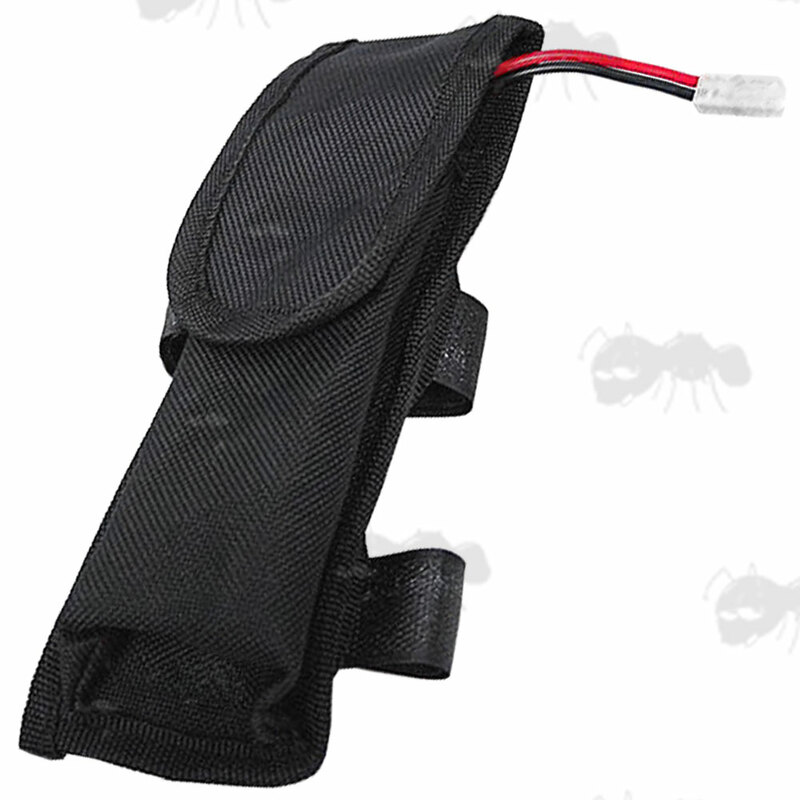 Quick access velcro fastener with elasticated pouch neck to prevent the battery slipping out. Store large batteries from 7.2v to 9.6v (up to 8 cells). 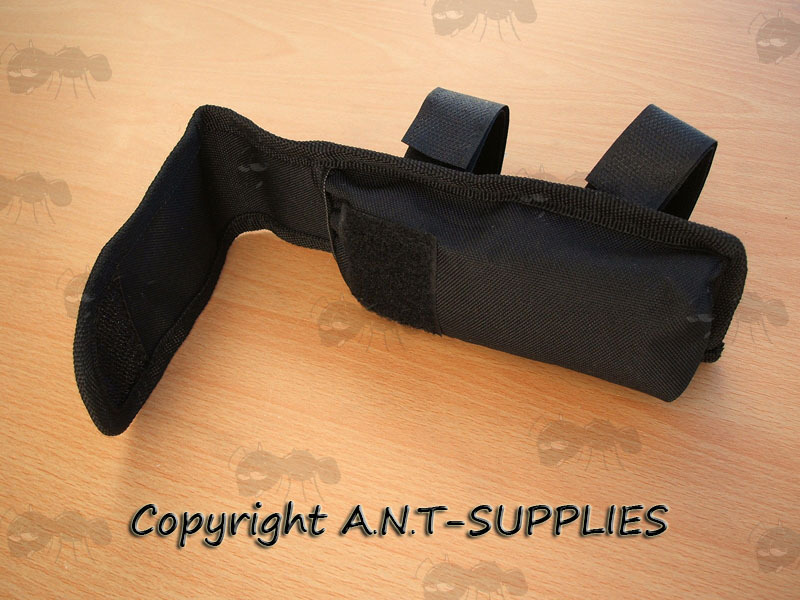 Velcro straps to securely attach to handguards or stocks. 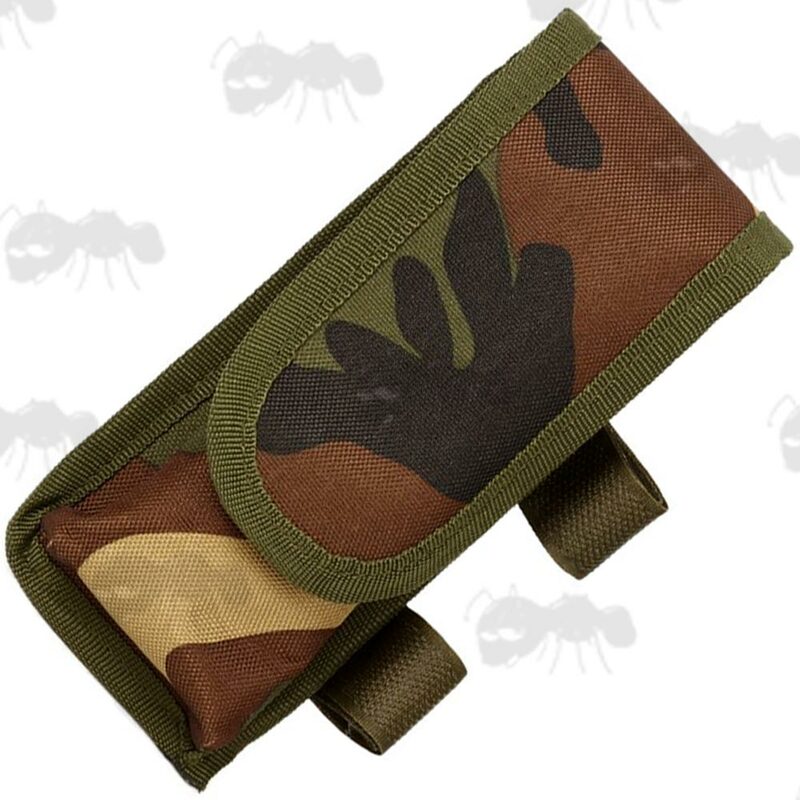 The great option for carrying an extra battery. 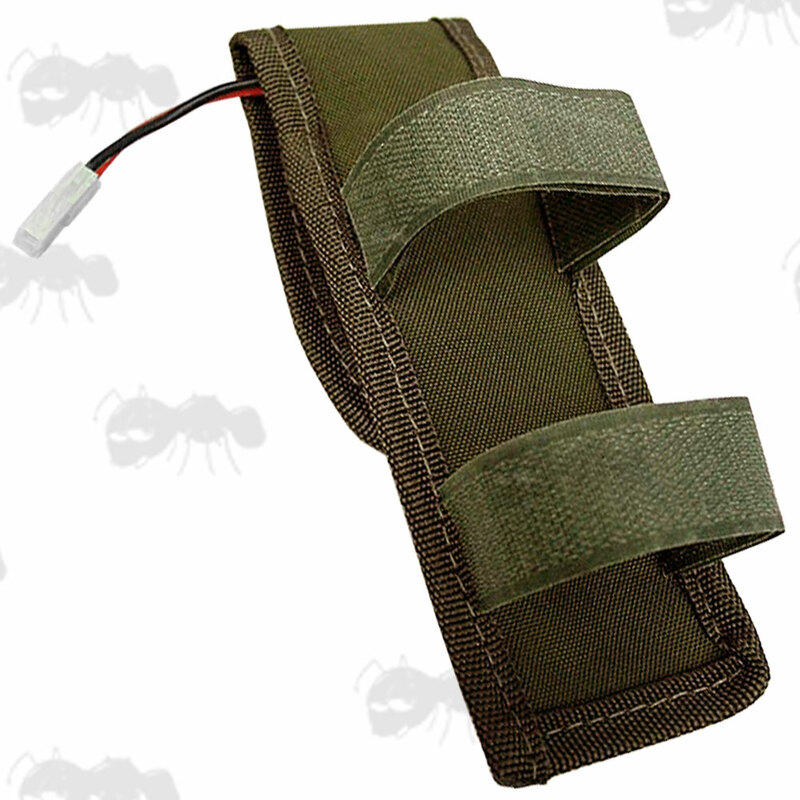 A must if you plan to wire your airsoft gun to the back. 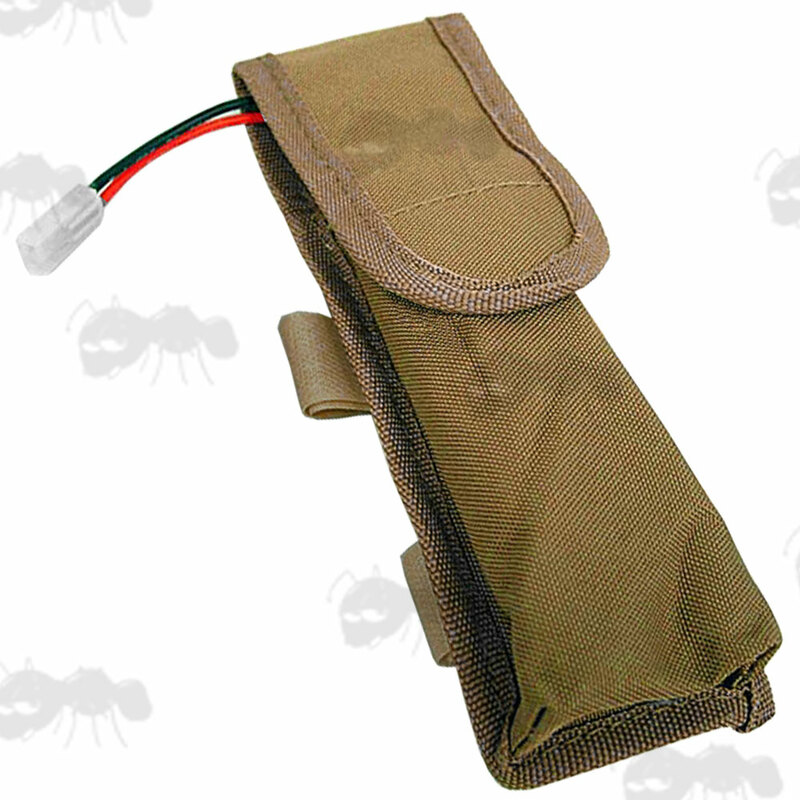 Also available ~ Cheek rest pouches with larger battery pouch, a drill will be needed for a concealed look.